In a recent interview with Gloomme Tv, the Senator representing Lagos East Senatorial District, Senator Gbenga Ashafa, indicated he would be running for another term in the Senate. The Senator representing Lagos East Senatorial District expressed confidence in his achievements as a senator both in legislative activities and the citing of meaningful projects in his constituency. Well, it is not uncommon for public office holders to seek reelection particularly in the legislature, which has no term limits, but we will all agree that not all of them are worth being voted back into office especially due to underperformance. 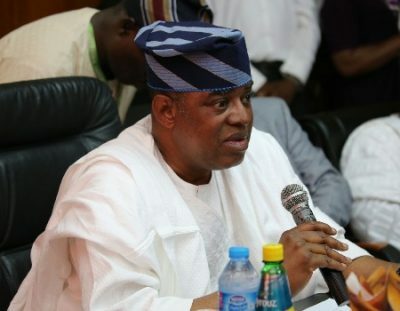 Senator Ashafa also praised Asiwaju Bola Ahmed Tinubu for his vision and leadership by taking the bold and unpopular step of nudging the party towards adopting an open primary system where every card-carrying member of the party will have a stake in deciding to bears the flag of the party and not just a few delegates.